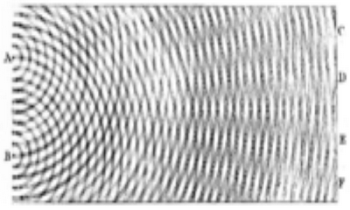 Experiment plugs loopholes in previous demonstrations of 'action at a distance', against Einstein's objections — and could make data encryption safer. This is just the latest of the Bell test experiments. These were very exciting about 50 years ago, because they had the potential to disprove quantum mechanics. All the tests, including this one, have confirmed the quantum mechanics of 1930. This does appear to be an improved experiment, because previous ones had to make some mild assumptions about undetected photons. This cleverly uses electrons that can nearly always be detected. However, it does not demonstrate action-at-a-distance, and it will not make data encryption any safer. It just gives more evidence against the hidden variable theories that everyone rejected in 1930. These experiments are often suggested as candidates for the Nobel Prize in Physics. Maybe so, as these are nontrivial tests of good physics theories. But really, prizes for the theory were given in 1932 and 1933. 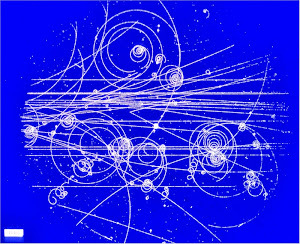 Sweden cannot give prizes for string theory, unified field theory, quantum gravity, black hole information, multiverse, supersymmetry, quantum computers, or any of the other topics that seem to preoccupy our finest Physics minds, because none of those have any experimental validation. At a more fundamental level, will this new experiment finally convince everyone that local realism is dead, and that quantum mechanics might indeed be the operating system of reality? Alas, I predict that those who confidently predicted that a loophole-free Bell test could never be done, will simply find some new way to wiggle out, without admitting the slightest problem for their previous view. This prediction, you might say, is based on a different kind of realism. By "local realism", what he really means is Local hidden variable theory, a foolish effort to disprove quantum mechanics. Yes, I am convinced that local hidden variable theory is dead. It has been dead since 1930. This experiment is just another nail in the coffin. I just don't agree with this use of the term "local realism". Quantum mechanics is the local realistic theory, not hidden variable theory. He doubles down here. By a math term, he means associated with some stupid disproved mathematical hidden variable model. I think that he likes the term because it sounds profound to say that quantum mechanics has been proved contrary to local realism. The mathematicians are even crazier. What do any of the millennium problems have to do with the real world? And all the mathematicians care about is consistency, not truth. They're a kit of clay pigeons. Agreed. 1. Take the Newton craddle. Pull away a ball from one of the extreme ends. Release that ball. It is seen to swing towards the cradle. And, come to a stop. Suddenly. The ball at the other end is seen to swing out. However, all the other balls in the middle are seen to remain stationary. After a brief while, now it is this second ball which is seen to swing backwards, towards the cradle, and come to a stop. The first ball is seen to swing out. 2. Explain that all it involved was just the classical mechanics, that the momentum propagation involved a small but finite duration. Convince the skeptic. Use a lot of funds by actually conducting a very sophisticated experiment. Demonstrate that a finite time period elapses (after factoring in the instrumentation errors) between the swinging in of the first ball and the swinging out of the second ball. And, vice versa. 3. Throw a black cloth over the the cradle. Repeat the experiment. Measure the time lag. Show that it is finite (even after factoring in the instrumentation errors). 4. Return the next day. Write the date on the blackboard: 1900--1930. Repeat the experiment. Measure the time lag. Show that it is nearly zero, within the experimental errors. 5. Announce that this is mysterious. Write paperbacks. 6. If someone proposes a theory that in the second instance all the balls were swinging with the same frequency behind the black cloth at all times, declare this hypothesis to involve hidden variables. Use the most effective means of sarcasm possible. Hurriedly point to the dates.